7 Kids and Us: Cube-Tastic a Cube With an App! We started going to our home school co-op last year in the fall, and ever since, Riley has been obsessed with Rubix Cubes. He bought one with his own money, and has been trying to solve it every day. Why? Because so many other kids at the co-op also have one. Most of the kids have solved them, and are really good at it..one tried to teach me, bless his heart, but when he started talking about algorithms i lost it...no idea what he was talking about. Riley tried to learn too, and he understands, but it's so much to remember. 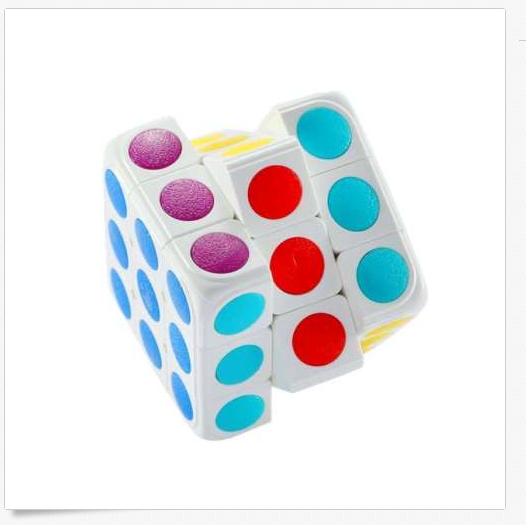 I wanted to get him a cube that would be easier for him to solve, with some online help. It’s time to master the cube with Cube-tastic! 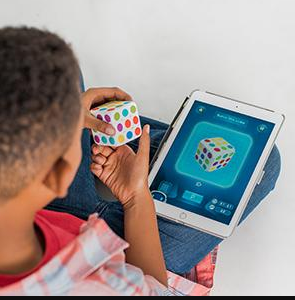 Our 3D puzzle cube pairs with our Augmented Reality app to teach you step-by-step how to solve the cube. Then, as your skills improve, you’ll be challenged to solve the puzzle faster and better each time! This modern cube throws back to the brain-boosting puzzle of years past, en-hanced with cutting-edge technology. 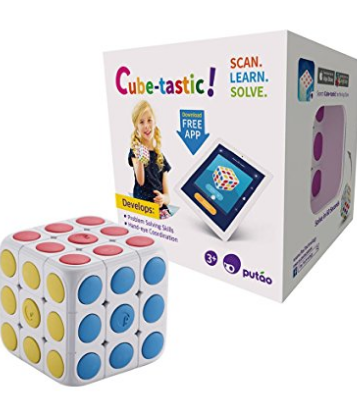 Scan, learn, solve — it’s Cube-tastic! With the cube-tastic app, you scan all sides of the cube, and the app tells you what move to make next to solve it! Riley was so happy, he had it solved in under an hour, and it's given him the confidence to keep persisting on more advanced cubes!